These days, Americans have a wide range of pets. While most stick with the tried-and-true cats and dogs, which provide excellent companionship, others are venturing into more exotic territory. They are finding that teaching an African Grey Parrot to talk is immensely rewarding, or that they’d rather have a fluffy bunny than a dog. 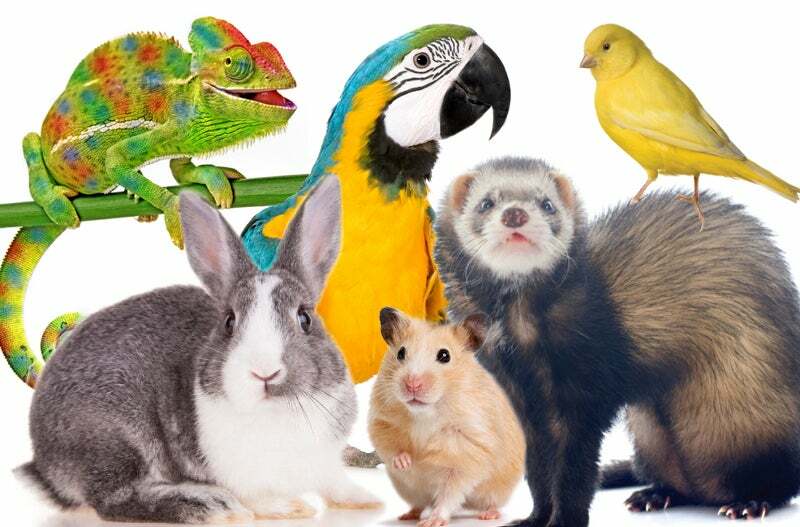 Birds and exotic pets need insurance just like any other pet. They are prone to illnesses and injuries just like any other animal. It’s also important to take them to the vet for periodic check-ups, vaccinations, and diagnostic procedures in case things don’t seem right. It’s especially important to insure your exotic pets, as they are likely to need quick care if they fall ill. For instance, birds are highly susceptible to parasites. Where a dog or cat might be able to live with a parasitic infection for months, or longer, a bird might need to be treated immediately. In fact, some parasites are deadly to birds. If you have bird insurance, you can rest assured that their medical bills will be covered. Exotic pets, such as reptiles, are also highly sensitive to their environment. If, for instance, it gets too cold for them, they may quickly get sick. Other exotic pets may need medical attention if they are exposed to higher temperatures in the summer. Your exotic pet is also prone to injury like any other. Pet pigs, for instance, are prone to being attacked by dogs. While your beloved menagerie might all get along, a random dog in the neighborhood might not be as accepting of your pig playmate. Other exotics, such as rats, have a tendency to put things in their mouths that don’t belong. It is not uncommon for rats to take a bite out of an electrical cord, possibly causing great harm, if not death. Exotic pets might also eat foods or objects that their systems are not able to digest; causing a minor medical emergency that pet insurance will cover. Exotic and bird insurance plans are similar to policies written for dogs and cats. They usually cover major health issues such as serious illness, traumatic injuries, and chronic disease. More comprehensive policies cover preventative care including diagnostic tests, regular veterinary check-ups, and overnight boarding. For mammalian exotics, such as pigs, rats, and ferrets, you might be able to find a policy that covers dental claims, though this might be rare, if not impossible. Your exotic or avian friend will also be covered for alternative therapies, provided they are administered by a licensed veterinarian and are for a malady covered by the policy. Medications and surgeries are likewise covered, as are non-hereditary cancers. It may be difficult to find a range of policies that cover your avian or exotic pet. However, Nationwide Insurance covers all sort of pets, including thorough coverage for cats and dogs. They are one of few insurers in the United States that cover birds and exotic pets. If you have a bird or exotic pet, you want to make sure that they have a long and happy life, free of suffering and disease. To make sure that their healthcare doesn’t jeopardize your financial situation, seek out at healthcare plan suited just for them. Your pet chinchilla, ferret, pig, lizard, or parrot will thank you.